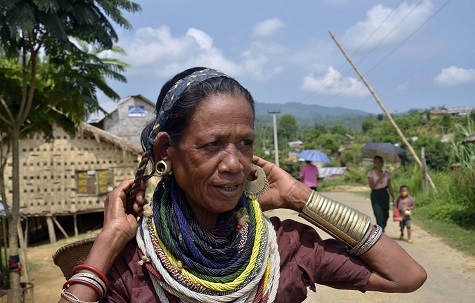 Repatriation of the displaced Bru refugees (5407 families comprising 32,876 persons) temporarily living in Tripura to Mizoram will begin from August 25 but so far only 200 people from around 6 camps have turned up for the registration. The Bru refugees are apparently reluctant to register their names and the footfall for registration is negligible. With a week to go for the repatriation, only 200 out of 32,876 refugees have registered their names so far to go back to their homeland. Naisingpara camp, Ashapara and Hazachara camp in Tripura witnessed very negligible footfalls for registration for repatriation. Union Home Minister Rajnath Singh along with Tripura chief minister Biplab Kumar Deb and Mizoram chief minister Lalthanhawla signed a quadripartite agreement involving union government, state governments of Mizoram and Tripura and Mizoram Bru Displaced People’s Forum (MBDPF) in New Delhi on July 3, 2018 for repatriation of the Bru refugees to Mizoram. As per the Bru Migrants Repatriation Agreement, each family will be given one-time financial assistance of Rs 4 lakh to be kept in Fixed Deposit in the name of the head of the family within one month of repatriation. All 5,407 families shall be given this assistance for resettlement. Each resettled family will be given cash assistance of Rs 5,000 per month (DBT mode) along with free ration for two years. The families shall receive house building assistance of Rs 1.5 lakh to be disbursed in three instalments as per the Bru Migrants Repatriation Agreement.